Hi there Kotaku! It's 10:30 on Thursday, and so it must be time for the open thread. When I was a kid, I was obsessed with Teenage Mutant Ninja Turtles. I wasn't alone—I think pretty much every kid went through a Turtles phase. Thing is, I wasn't into the cartoon or the live-action movies. (I mean, okay, I liked the first movie more than I should've.) No, I was into Eastman and Laird's original comics, which were much darker, edgier, and cooler than anything that came out once the "turtles" concept got popular. It may seem silly to grump about the state of the Teenage Mutant Ninja Turtles, particularly given that... well, the entire concept of mutant turtle teenagers trained to be ninjas is so patently absurd that it feels weird to be all hipster about it. All the same, I have to wonder if anyone will go ahead and make the darker, weirder version that the fearsome foursome deserve. I mention this after watching the first trailer for the new TMNT Nickelodeon series that will debut soon. I watched that trailer and thought, "Eh." I think we were moving in a better direction with 2007's TMNT, though even that movie didn't quite get where it was going. I mean… what if someone made a game in which Rafael's sai could actually do something and not just be used to disarm foes? I dunno. Maybe I'm bloodthirsty? All I know is that I heard that now-debunked rumor that Rocksteady's next game after Batman: Arkham City was going to be a Ninja Turtles game and I almost fell out of my chair. YES. These would be the guys, right? Anyhow. It's the open thread, so let's get to it. Are you a Ninja Turtles fan? Did you ever read the comics? 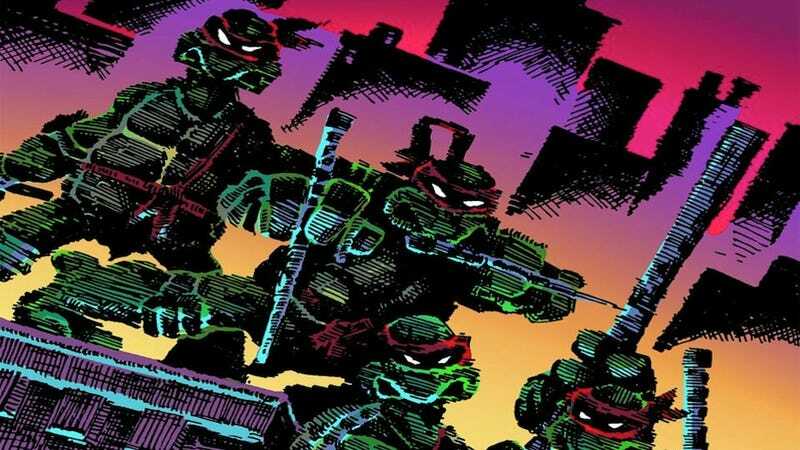 Do you agree that there's a lot of desire out there for a more hard-boiled take on TMNT? What do you think a great Ninja Turtles game would look like? Also… why turtles? Let those prompts guide your way, and as always, feel free to talk about whatever you like. The good ship Open Thread has left port.